PRESS RELEASE - Craft House and Celebrating Life Ltd, today announced the confirmed speaker line-up for the second TEDxVictoriaHarbour on Saturday, May 11, 2013. Themed, E-Motions in Travel & Tourism, the event serves as a local platform to inspire change and progress in tourism and travel. 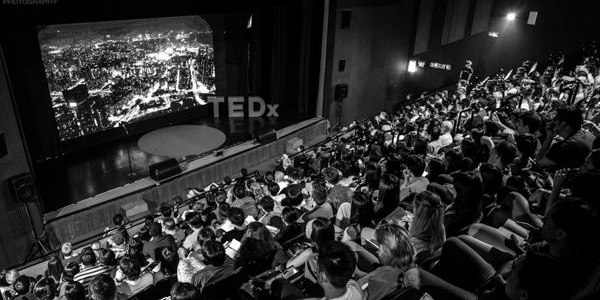 TEDxVictoriaHarbour will take place at Hong Kong’s historical landmark Sunbeam Theatre and include a diverse group of speakers from media, entertainment and academia, to entrepreneurs, artists and designers, in line with TEDx’s aim to stimulate discussion at a local level. “Travel and tourism has become more accessible, creating a traveler who is more discerning and looking for new experiences. TEDxVictoriaHarbour aims to foster greater innovation in tourism and travel to capture and address this need by engaging people from all aspects of society,” said Yvette Jong, Founder & Director of Craft House Consulting. The full-day event will also be complimented with interactive experiences aimed to entertain and inspire dialogue among TEDxVictoriaHarbour attendees. The event will close with post-event drinks and an after party at the KEE Club. “The best innovation stems from a combination of fresh content and exchange. We have intentionally designed TEDxVictoriaHarbour to ensure ample opportunity to hear not just from a global community of thought leaders, but to also enable interaction that promotes the voice of the traveler as well as the industry,” said Thibault Paquin, Principal at Celebrating Life Ltd.
“Travel and tourism represents a key industry for Hong Kong, and TEDxVictoriaHarbour is an important platform for fueling change and progress in this sector,” said Andrew Davis, Associate Director-General at InvestHK, the government department responsible for foreign direct investment. Created in the spirit of TED’s mission, “ideas worth spreading,” TEDxVictoriaHarbour is designed to give the community the opportunity to stimulate dialogue through TED–like experiences at the local level. An independently organized TED event, organized by individuals TEDxVictoriaHarbour is coorganized by Craft House and Celebrating Life Ltd with the aim of fostering the sharing of ideas to help shape the future of travel and tourism. This year’s theme looks at E-Motion: the how and why we travel, and how it will evolve in the future. All talks will be recorded and shared on the TEDTalks video site to be viewed by a global audience in the millions.